I make green smoothies fairly regularly. I find that they are a great, easy way to make sure I’m getting the nutrient-rich greens I need, especially if I am on the go. I also always have fun trying new things and combining new ingredients. 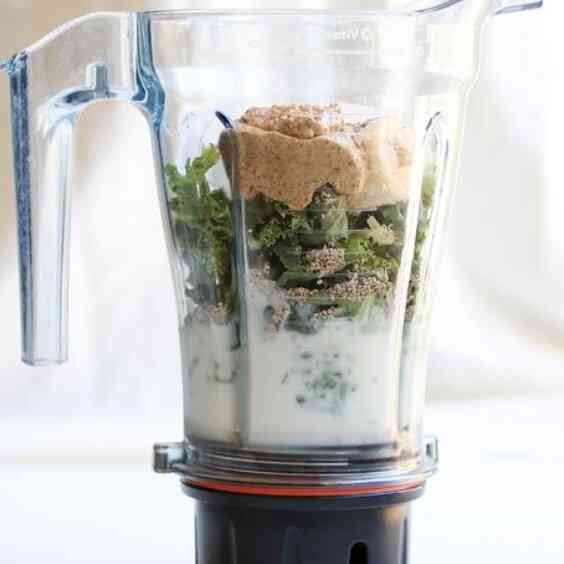 This recipe is relatively similar to my Super Simple Green Smoothie, but uses a few different ingredients including almond butter and coconut milk. 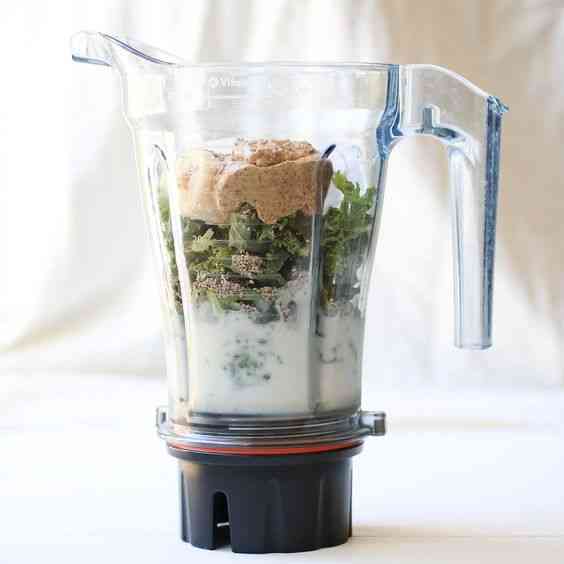 The result is a lusciously creamy green smoothie packed with nutrients, healthy fats and Omega-3s! Place all ingredients in a high-powered blender starting with the softest and ending with the harder ingredients to prevent the blender from seizing up. Start blending on low and gradually move to high until all ingredients are well combined. Garnish with chia seeds (optional).